I am not going to put this under Totally Biased Reviews, because it seems too flip to do that. 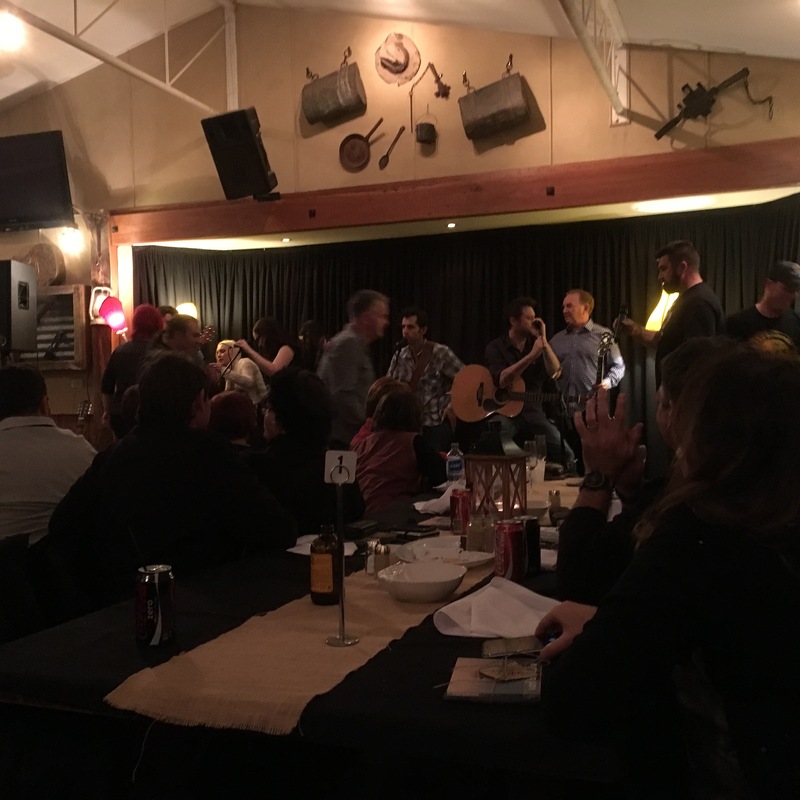 Last Saturday night at The Dag Sheep Station in Nundle, we did a bit of a salute to one of our favourite members of our Country Music family, Karl Broadie. In the third of the fundraisers and the only post passing of the three, we celebrated the beautiful life of Karl. We raised money to help Karl’s family but most of all, the people that loved him dearly, came together to remember a talented and sweet man who left us too soon. I have been to many Karl gigs and own all of his albums. I got to meet Karl officially through Aleyce Simmonds, who, ironically, helped organize this night. The Simmonds Family were instrumental in their talents as musicians and just as amazing human beings in putting on a wonderful night. While the set and stories by Shane Nicholson, one of the leading lights in Alternative Country Music and one of the most amazing people that I have met in Country Music circles, was an absolute highlight, many moments were beautiful and memorable. Each artist told a story or stories about their relationship with Karl; their memories, their musical associations. Each fan that I talked to, had a soft spot for the jovial little big guy who warmed the cockles of our hearts and provided so much joy to all of us who knew him a little or knew him a lot. The heartfelt moments from Brendan Nawrocki and Johnny K, from Katie, Allison, and the amazing Simmonds girls, Aleyce and Karlee and Michael Cole and the bestie, Mickey Blue Eyes, as well as legend Mr Connors getting up and doing some songs that were a part of every country music fan’s collection. Some fundraising was done via the amazing auctioneer and the crowd laughed, wept and listened intently to the amazing musical offerings of such a splendid array of musicians. Others, not known as big musical stars but those on the rise, gave us a piece of their heart. With fires burning, as many stars in the crowd as there were on stage, Karl was honoured, loved, respected and remembered. We will not forget him. His boys sent us a video message, which reduced even the John Waynes and Calamity Janes amongst us to tears. Thank you Karl. We will remember your music, your light and your courage. 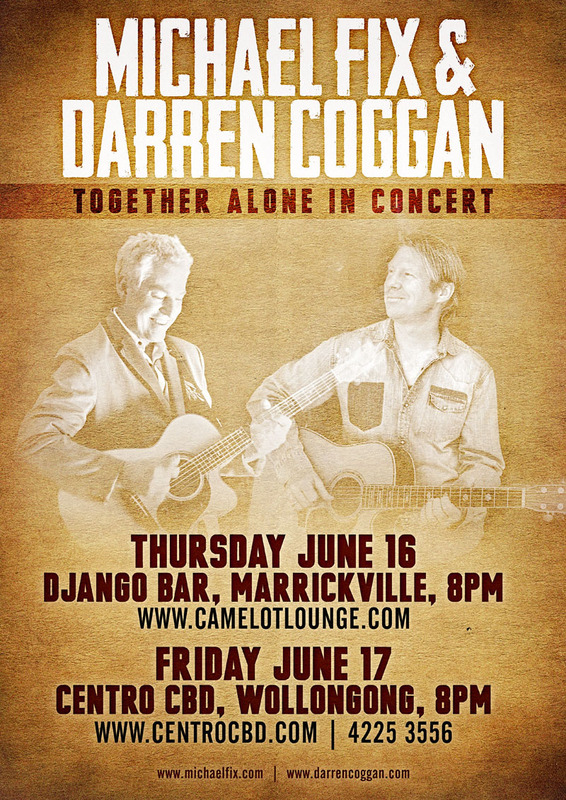 Totally Biased Fan Review: Together, Alone:Heroes – Michael Fix and Darren Coggan – Django Bar, Marrickville, 16th June. To get one of these guys at a gig is amazing, to get both of them is a real treat. In the “first of many” gigs featuring the guitar virtuoso and the triple threat artist, Michael Fix and Darren Coggan share their own music in solo spots and the music of their mutual music heroes. Although they have known each other for many years, they hadn’t worked together in this way before. This was somewhat of a trial run and they called us guinea pigs. I was just chuffed to see and hear two of my favourites on the same bill, whatever was to ensue would be a bonus. They devised this meeting at Kiama Blues Festival earlier in the year, realising that they had a lot of common heroes. I am hesitant to give too much away. I don’t want to spoil their jokes, stories, one liners or running sheet, but suffice to say that it was full of surprises and not just for us fans. They started with an obvious track, given the subtitle of the gig. The David Bowie song is decidedly more important after his passing. Given Michael and Darren’s links with country music, there was only one reference to a country artist, and a notable one, for sure. The music was as diverse as the careers of both of these guys. I have seen a few guitars smashed in my time but I have never seen one almost explode. Michael powered up his guitar with Pipeline, and I swear if it wasn’t going to explode, it was going to take off into the Marrickville sky. Darren showcased some Cat Stevens’ songs, which you would expect him too, given the fact that he has been performing Peace Train, The Cat Stevens’ Story for a while now. Darren’s albums have mainly been country based, and he featured a few tracks from these as well as also including the Golden Guitar winning track from the War Stories album, Too Dark for the Lighthorse (too light for the clan). Darren’s War Stories show is one of my favourite stage shows of all time. If you ever get a chance to see it, you need to grab the chance. Michael’s flying fingers and rhythmic beats on his guitar – which seems to serve as an apparatus for a one man band – providing the most amazing sounds and effects. Not only are their heroes diverse, but they don’t always pick the songs that you think that they will pick. Obviously, some of the choices are to showcase their guitars, rather than songs that are primarily known for their lyrics. Some of the songs chosen would be a mighty challenge for anybody who has ever picked up a guitar. Michael is one of the best guitarists that I have ever heard and I have been lucky enough to have heard him on a number of occasions. Darren’s game lifted as a guitarist, probably from playing with Michael. I would love to mention some more of the works that the guys tackled but I don’t want to spoil the set for anybody who goes or wreck the surprise from Michael and Darren’s angle. The guys tend to balance each other out. Michael is obviously stronger on the strings, Darren’s vocal range is incredible. It was evident, and it will be more evident in time that their skill sets will become even stronger by working together. Both artists are accomplished musicians in their own right with their own works. To be connected by mutual heroes and to be able to perform some very difficult numbers together is quite an achievement. The fact that this was their first time together was actually a plus, not a minus. It appeared raw, natural and off the cuff. It will be interesting to see and hear how this show develops. It was an eclectic mix of fine music and it was delivered heartily from two of our very best. 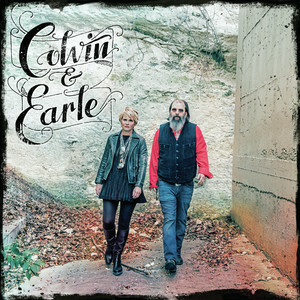 Copperhead Road by Steve Earle and Sunny Came Home by Shawn Colvin are two standout tracks in the music catalogue of life….if you have a pulse, that is. So when I heard that these two were making an album together…well I nearly had the ultimate accident. How awesome. Blues and Folk, Country and Celtic…hell yeah. Four covers and and an intriguing track and the others originals. I wasn’t going to settle for the less is more, I had to go for the Deluxe, and what a prize it is. The 1960’s undertones (the best era in the universe’s songwriting history), the purity of Colvin’s voice and the bluesy, gravelly, wonderful delivery of Earle and you have one of the most unlikely but amazing pairings in music’s history. To a point, this album reminds me of the albums that Shane Nicholson and Kasey Chambers produced. They have a similar tone. Come what may: New Orleans flavour…strum along, hum along, getting with the Big Easy. Oh Yeah. Tell Moses: Tapping my toes from the first beat. It has a touch of Cajun and ya gotta love that, down in the bayou. Tobacco Road: 60’s classic via the Nashville Teens. Very close to the original. Ruby Tuesday: One of the covers on the album that doesn’t quite work. The two previous huge versions of this song may effect my opinion here. I checked other reviews though, and the experts seem to feel the same. The Way That We Do: Love this song. So earthy and soulful. Happy & Free: I think that the title says it all. There is that vibe about this ditty. You were on my mind: Great version of Ian and Sylvia’s 60’s hit. A folky, cool song. One of my favourite folk songs. You’re Right (I’m wrong): Very bluesy/rocky song. Some cool guitars. Raise the Dead: Almost a Travelling Wilburys’ feel. 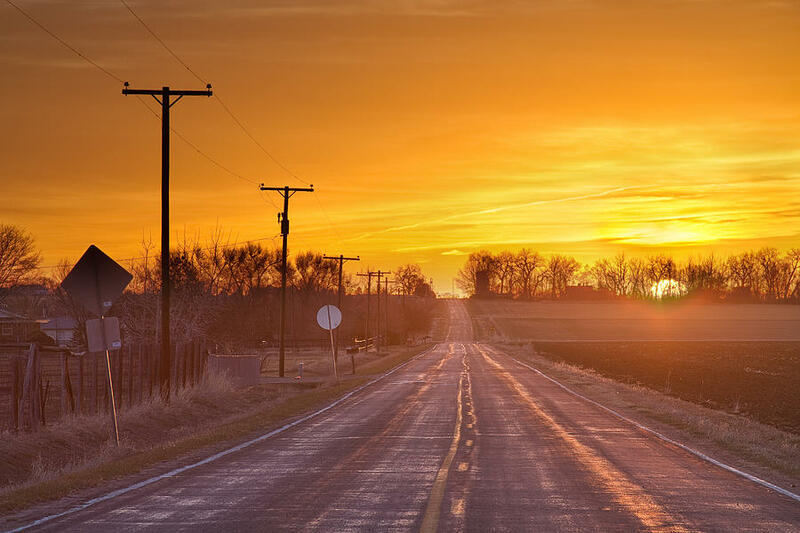 Cool country with a catchy rhythm. You’re still gone: One of my fave songs on the album. A song that I could listen to over and over again. The rough and the smooth become one. Someday: Interesting history. Shawn released this earlier, a Steve Earle song, and now they are singing it together. The ultimate compliment, I reckon. That don’t worry me now: Another one of my favourites….that rough and smooth blend so beautifully on this. Lovely. Baby’s in black: Not what I expected, but a cover of The Beatles “Baby’s in Black”. They are really mixing it up. One of the earlier Beatles’ tracks that only us purists of the Liverpudlians probably know, but it is a beaut. Nice spin on it. These two have had colourful lives and here are she be on a plate….or a platter as they used to say in the 50’s and 60’s. So glad that I was led to this album. Two of my fave legends together.